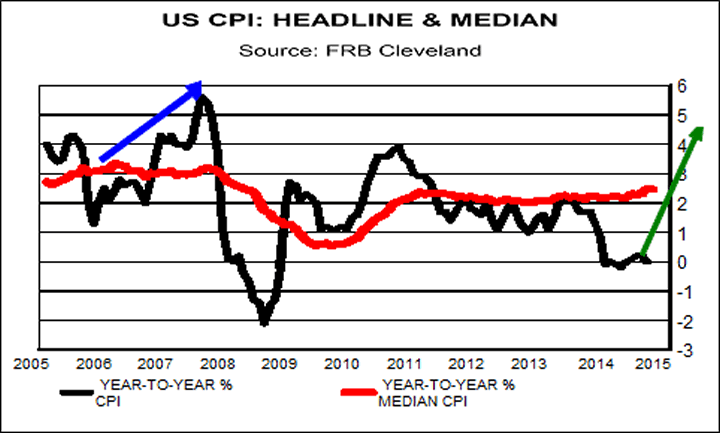 Is U.S. inflation setup to upset the markets? Motivation for considering this question begins with graph to right. 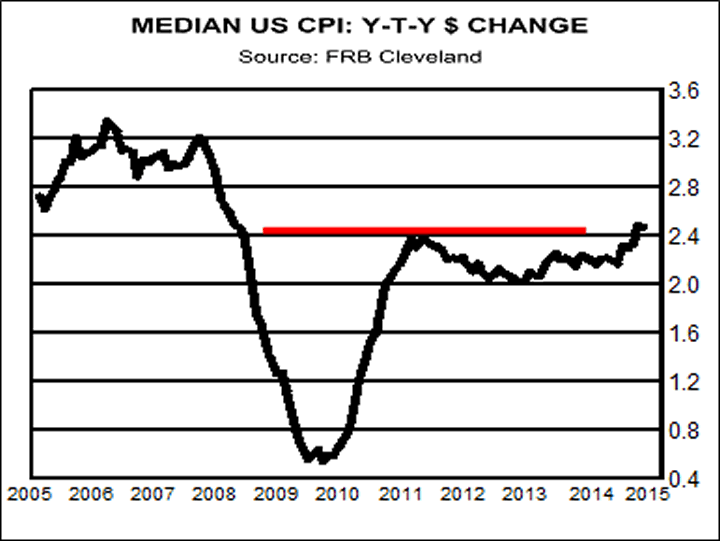 Plotted in that chart is the year-to-year percentage change for the median U.S. CPI. That measure is calculated monthly by the diligent elves at Federal Reserve Bank of Cleveland. Period of time for chart is past ten years.